A truss loft conversion is a great way to improve and expand upon your living space with an entirely functional new room that also increases the value of your property. How do I know if I have a truss loft? Most modern homes are built with wooden trusses to support the roof. These are the W shaped beams inside the loft space that distribute the weight evenly around the property. Yes, they get in the way of things but they are helpful for stopping your roof from collapsing through your property so you can’t just take them out one Sunday afternoon. Does this mean I cannot convert this loft space to a more attractive bedroom/playroom/bathroom? No, this is not true. 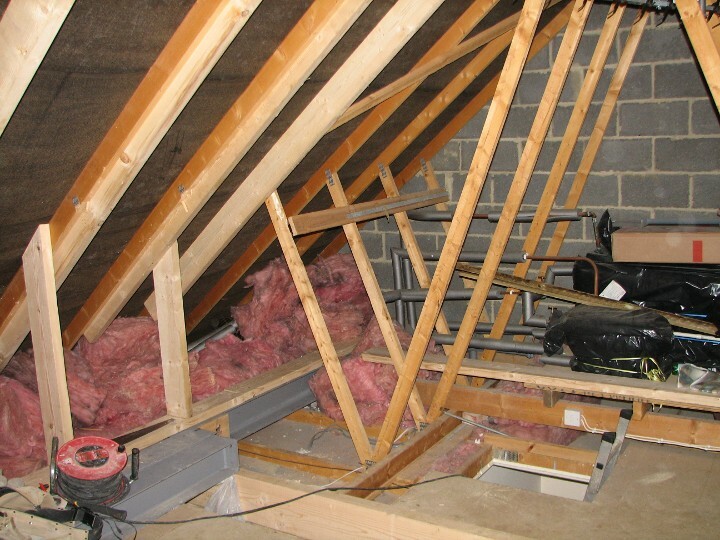 It is a commonly held misconception that having a truss loft means that you can’t get a loft conversion done, yet this is not the case at all. How can you convert a loft that is supported with truss beams? For a truss loft conversion you need to fit steel rods down the length of the property to transfer the weight from the roof and evenly distribute the load down through the walls. This is a big job however and should only be undertaken by an experienced and qualified professional. Once the steelwork is in position, timber joists and uprights are fitted and screwed in place to transfer the load from the roof to the steel beams. Once the structural work is completed then the interior carpentry work can begin. The opening for the stairwell needs to be made structurally sound by your qualified loft converter and the stairs/ballistrade made to match the rest of the interior of your house, so that the décor is uninterrupted and consistent as you move into your new converted loft. Will this make a mess of my house with all this going on? A professional truss loft conversion company will ensure that dust sheets are laid down where any of this work is taking place, from the front door all the way to the first floor landing where the new stairs are being fitted to access the truss loft conversion. 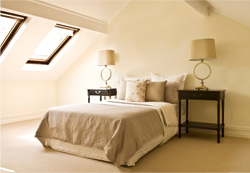 An exemplary truss loft conversion provider such as Interloft will even clean up all working areas at the end of each day, leaving your home as it was found so there is minimal disruption. Do I need to obtain planning permission for my truss loft conversion? In most cases you do not need planning permission from the council to have a truss loft conversion. You normally only need to obtain planning permission if the new dormer window is facing the front street or if it is a listed building. If planning permission is required, experienced truss loft conversion specialists at Interloft can take you through the whole process and explain in detail what needs to be done, as well as providing help with filling out any forms or paperwork. Why get a truss loft conversion? Truss loft conversions are a great way of expanding your living space with a more imaginative and useful room to replace your dusty attic that may have previously only ever been used for storing Christmas decorations you bought back in 1986. There’s not much else you can do with a truss loft with all those wooden beams getting in the way (apart from making a very rudimentary climbing frame for the kids). With a fully furnished truss loft conversion however, your imagination really is the only limit to what you can do with this space. Create a play area for your children where they can store their toys and play games, fit a new bedroom, home office, or even a spare bathroom. Apart from improving your home and making it a better place to live, having a truss loft conversion also adds value to your property which will make it easier to sell your home should you decide to move. For more information on truss loft conversions, gaining planning permission and which options are available with your property, contact our friendly experts who will be happy to answer any questions you may have and can offer a free quote for your perfect truss loft conversion.